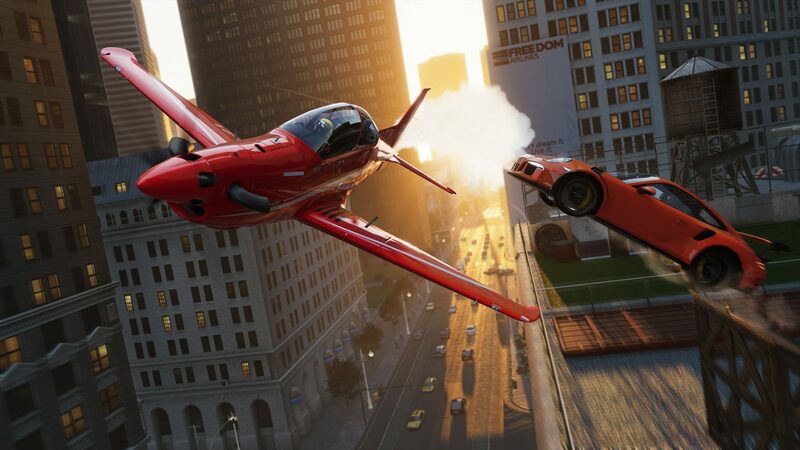 The newest iteration in the franchise, The Crew 2 captures the thrill of the American motorsports spirit in an open world. Welcome to Motornation, a huge, varied, action-packed playground built for motorsports throughout the entire US of A. Enjoy unrestrained exploration on ground, sea, and sky. From coast to coast, street and pro racers, off-road explorers, and freestylers gather and compete in all kinds of disciplines. Join them in high-octane contests and share every glorious moment with the world. The Crew 2 gives you the chance to showcase your skills and rise as a multi-skilled motorsports champion. I actually missed out on the original version of The Crew, so I didn’t really have a point of reference other than other opinions on how that played. Still, I was looking forward to seeing if the flaws that I heard about from the original game would be fixed or improved upon. So, how is life like in this open world racer? 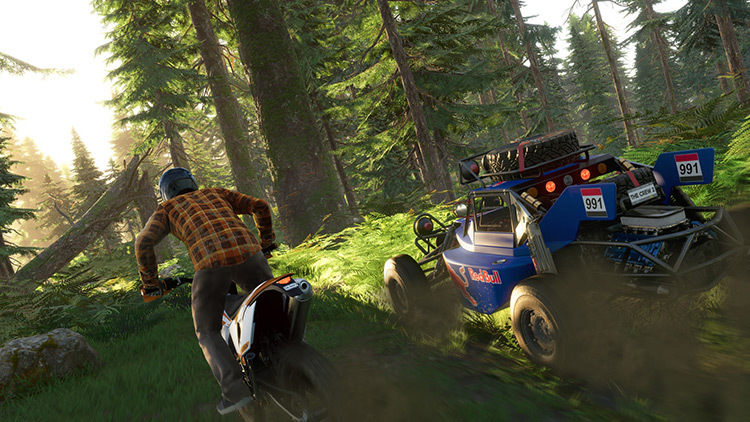 First things first, The Crew 2 isn’t just about cars anymore…you have planes, bikes, boats on top of that and across many different terrains and locations. It’s highly ambitious from Ivory Tower and each type of vehicle handles so differently from each other that it’s going to be quite tricky to be the master of all of them, but you will get the hang of it soon enough thanks to tight controls that make the game a pleasure to play. My only major gripe with the game is the lack of online multiplayer, the game is set in an online world that allows you to play co-op with 3 other players to tackle co-op challenges, but that’s essentially it. You may bump into other players racing around the streets of America, but you won’t be able to race against them. I hope this will later be added in some form of post-DLC as it feels like a huge oversight to have an online-based racer that doesn’t let you actually race online opponents. Visually, The Crew 2 is stunning on Xbox One X. Running at a solid framerate while running in 4K, the vehicle models and locations all look fantastic. The soundtrack is a bit hit and miss, but the sound effects more than make up for it. The Crew 2 is a decent racing game that has a good amount of content for single player fans, but for those looking for competitive racing against your friends? The option is currently missing, a baffling choice for an online-always racer that could have benefited from either being ready at launch or the game delayed until a mode was ready. It seems like a wasted opportunity either way, but at the end of the day The Crew 2 is a competent racer with all the right ingredients, it’s just missing one vital one to make it a real contender.